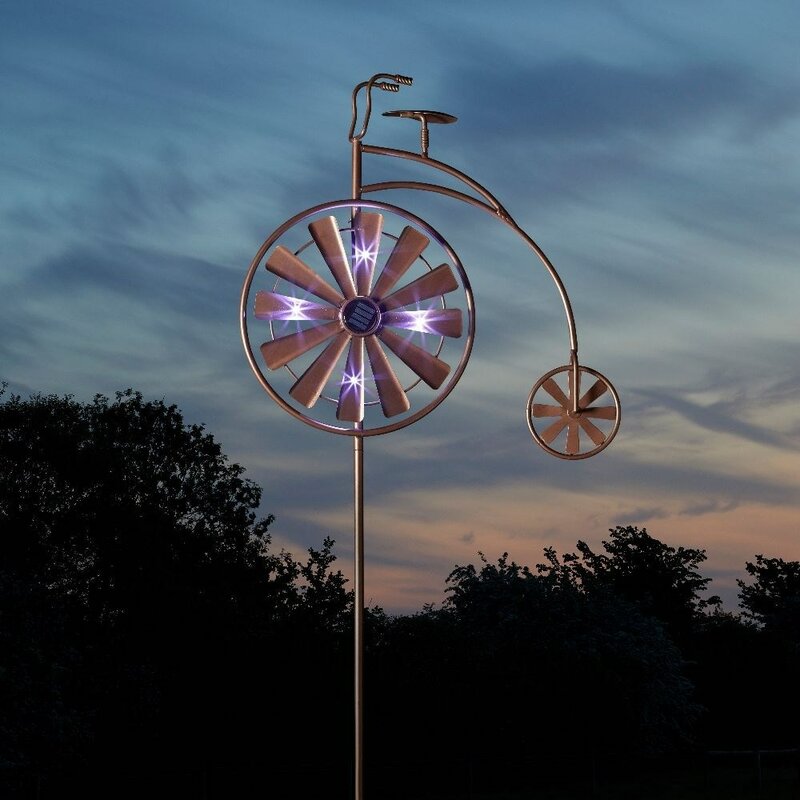 A whimsical way to add motion and light to the garden, this quirky penny farthing spinner features a rotating front wheel illuminated by 4 bright white LEDs. Powered by solar panel, it needs no mains electric and can be placed anywhere in direct sunlight, where it will recharge by day and automatically switch on at night. Includes spiked feet for easy installation into the lawn or border. Made from metal with a rustic brushed bronze-effect finish.